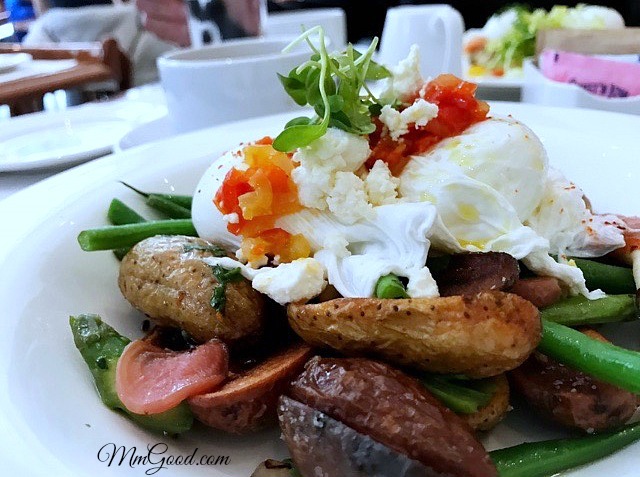 Poached eggs with grilled vegetables and steamed green beans was an inspiration from one of my favorite restaurants in Los Angeles, Bottega Louie. 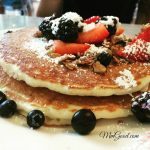 This was my inspiration as the moment I took my first bite I knew I was in heaven. 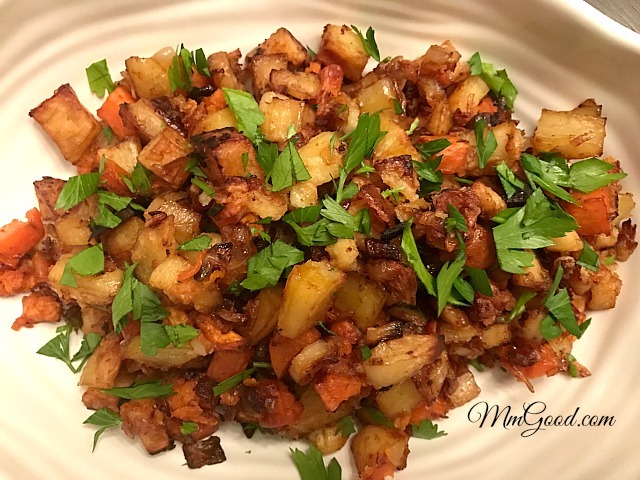 Roasted potatoes, with yams, sweet potatoes and baking potatoes, tossed with an oldie but a goodie seasoning pack will become your family favorite side dish…I promise you! 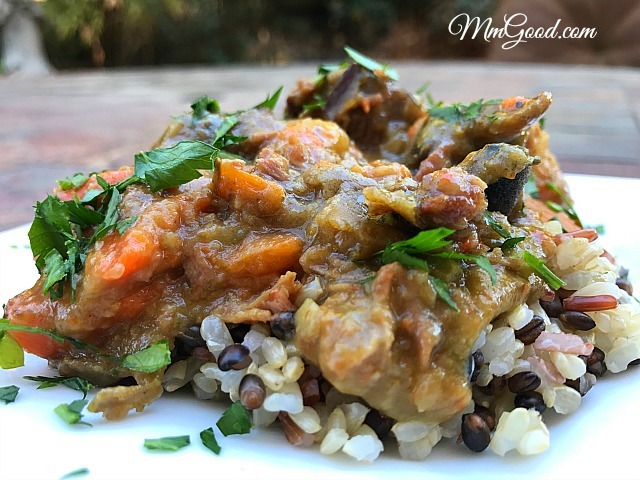 Does anything say home to you more than a great home cooked beef stew? You know what I’m talking about, that hearty, tasty, beef stew with carrots and potatoes that simmers in a beef broth with wine for hours creating that amazing gravy? They say “a way to a mans heart is through his stomach”…well, the way to my heart is a nice, hot cup of soup and yes I went there! 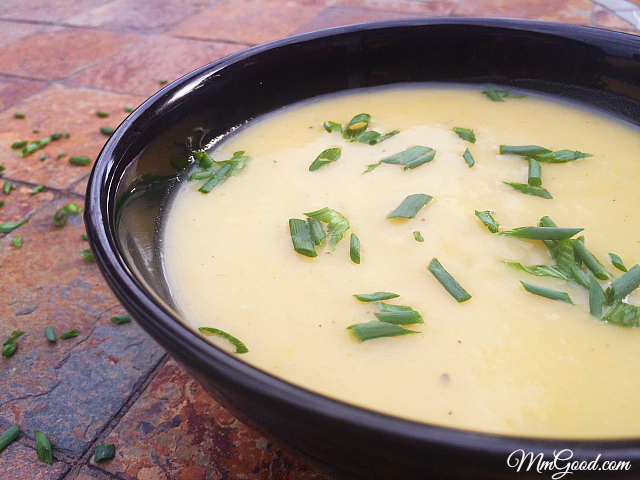 I was at a friends house during the holidays and she made a potato leek soup that was amazing. Normally I would ask for the recipe as I share mine so why wouldn’t she share hers…I never asked, I also never stopped thinking about that soup. 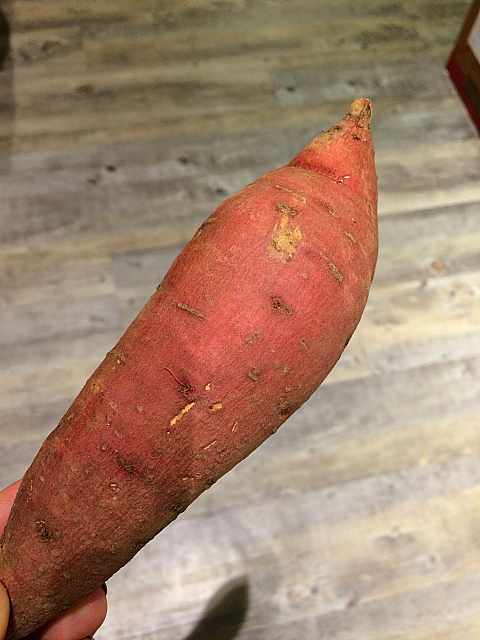 I love the fall as I love all the rooted vegetables, squashes (like acorn and butternut), yams and sweet potatoes. 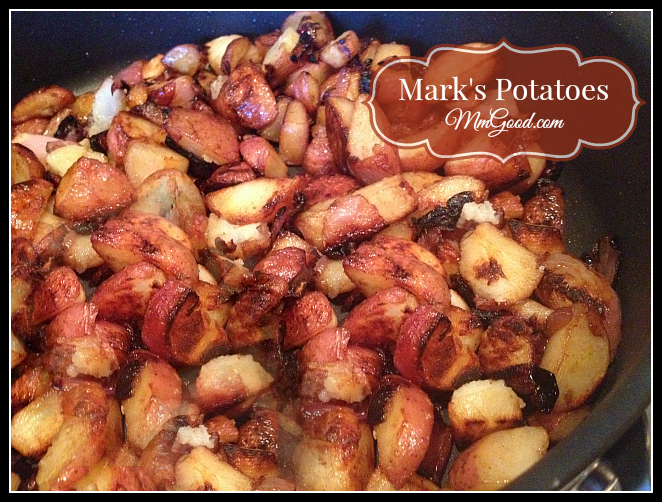 I love the sweetness of all the vegetables especially when you roast them, no sugar needed! 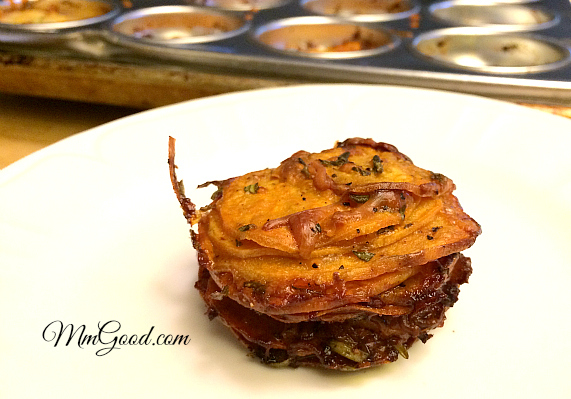 In preparing for a dinner party where I had restrictions, I thought I would play around with some different options and originally I thought I would make a baked yam casserole. I have had some health issues recently and I was told by my amazing doctor to change some things about my life, like try to destress more, try yoga and try to eat healthier. 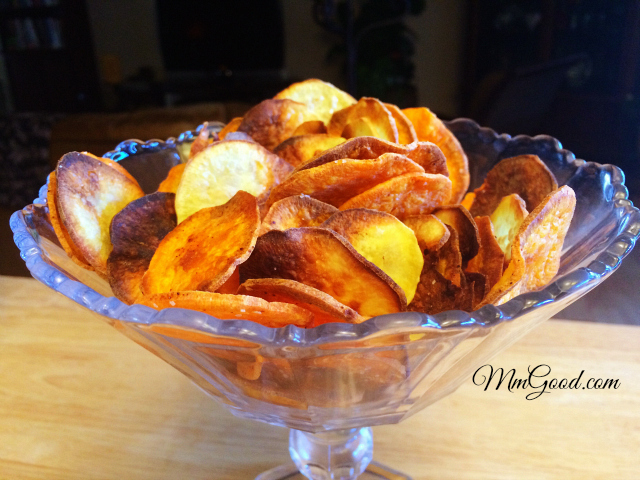 I did try to relax more, I tried yoga, wasn’t my thing and I tried to eat healthier…because of that, I created this recipe for baked yam chips. 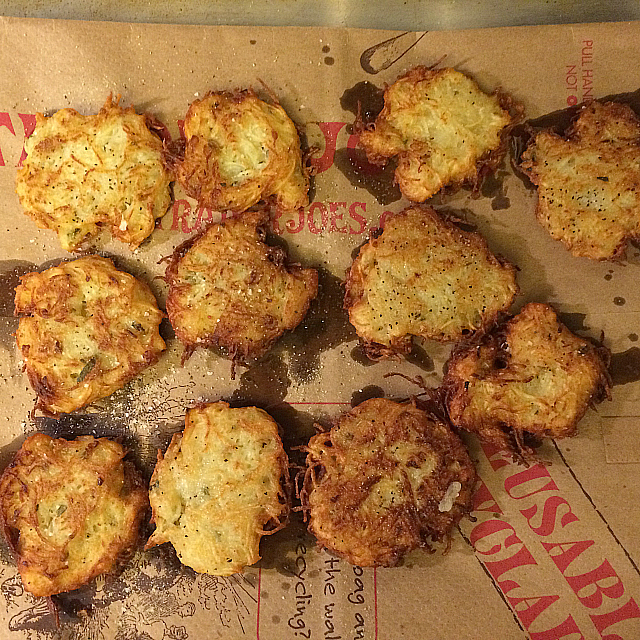 I know, “What is an Italian girl like me doing making latkes?” Being raised Italian, I was never exposed to the Hanukkah or the traditions of Judaism until I was married to my ex husband who was Jewish. Being the good wife, I emerged myself in learning every Jewish holiday and tradition, of course that meant learning everything about the food. For Hanukkah, at our home, I would always stick to the traditional dinner of a roast, latkes, challah and a salad. I will not get into the religious side of the holiday (click here if you would like to learn about the holiday) but will share that the holiday is basically about oil and when it comes to the food it’s about the food being cooked in oil. 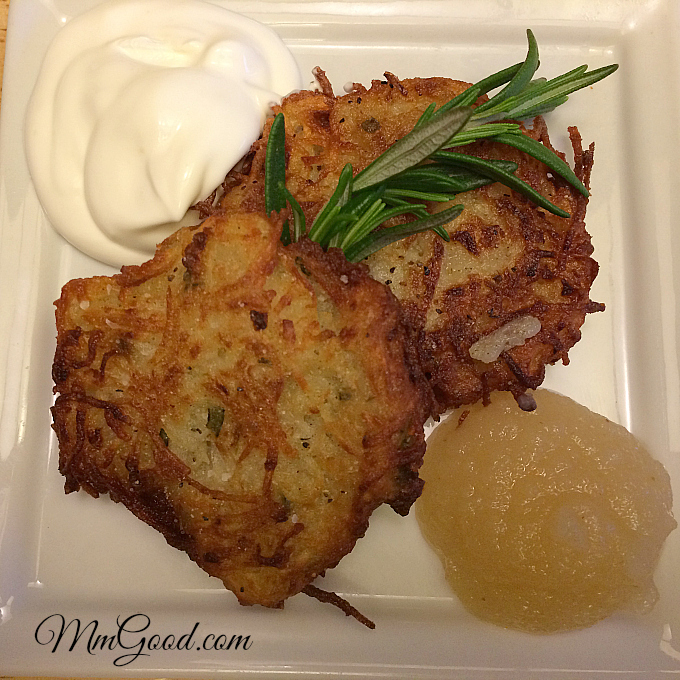 I love latkes which are basically shredded potatoes with shredded onions and then the latkes are fried in oil and served with apple sauce and sour cream, who wouldn’t love that? 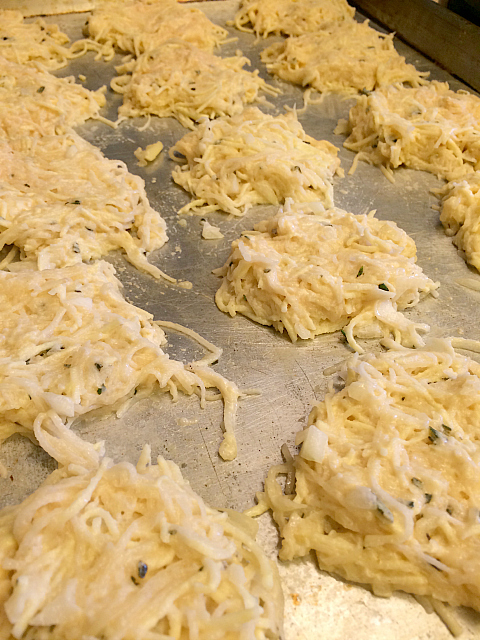 Being Italian, I always had to bring in my element into every dish I could, so for me, I would add rosemary to my latkes; over time I would add sweet potatoes…so in essence I have created my own version of an Italian Latkes. 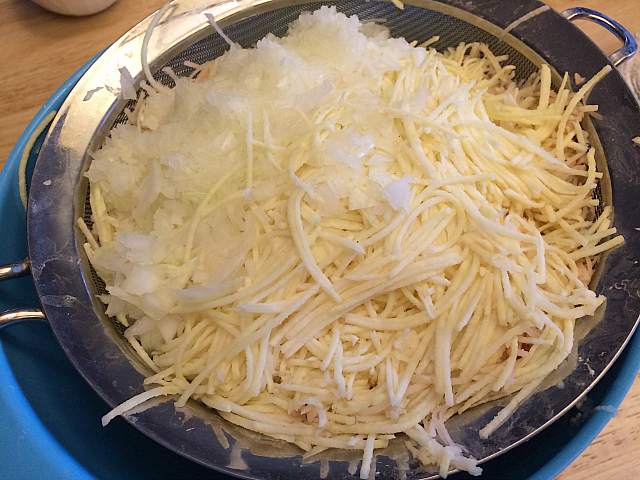 Peel your potatoes and using a food processor shred your potatoes, if you do not have a food processor, you can grate them by hand. 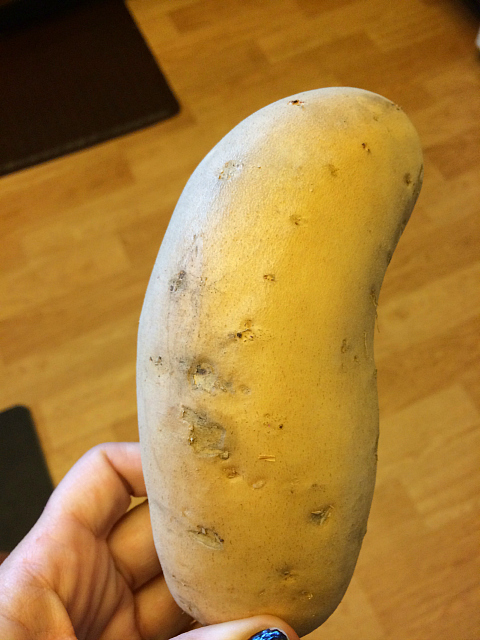 Place your peeled potatoes in a strainer. 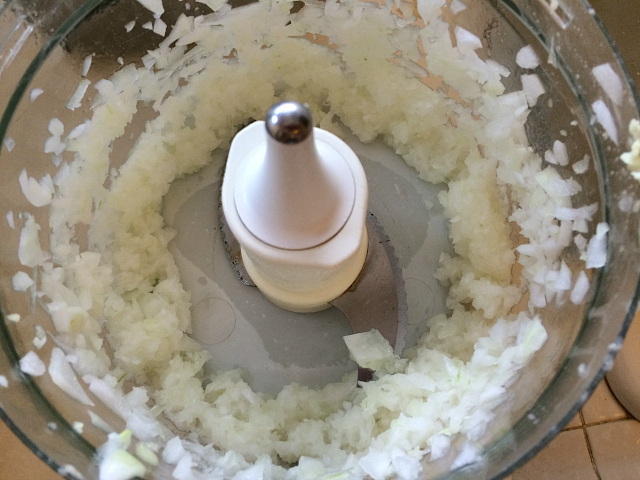 Chop your onions and place in a food processor and mince them, add them to your strainer of potatoes and strain for 30 minutes, press out as much water as you can. 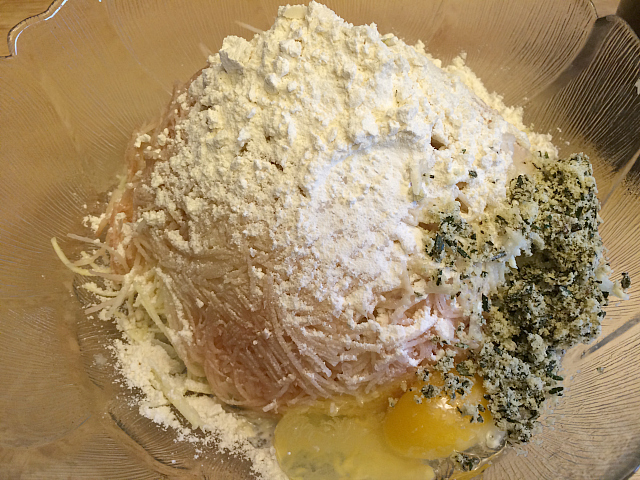 In a large bowl add your potatoes, onions, egg, flour, rosemary and salt. Mix until well blended. In a large skillet, heat your oil, while your oil is heating up, shape your latkas and place them on a baking sheet. 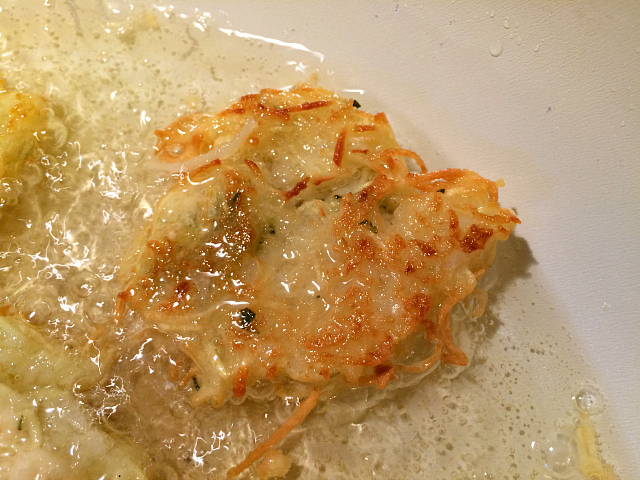 Place 4-5 latkas into the hot oil and fry until lightly browned, flip and cook the other side. 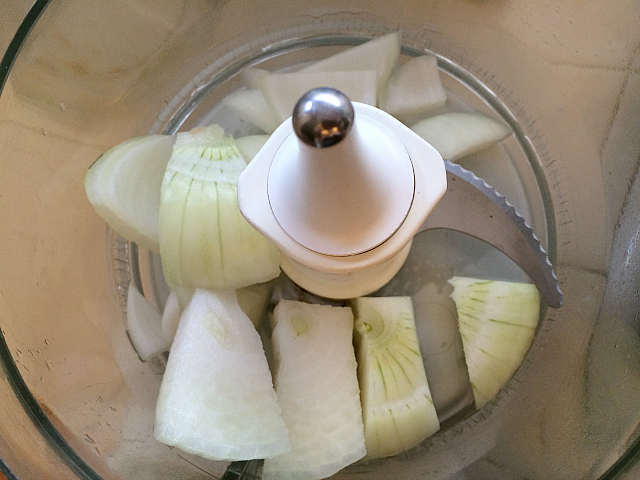 Remove from the oil and place onto a paper bag or paper towel. There is nothing better then to have a man cook for you, that being said, I really had a hard time just sitting back and allowing my best friends husband Mark to prepare dinner for us. 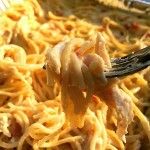 I am so grateful that I did step back and allowed him to cook as he proved he was a great cook…and he really spoiled me! I decided to get away from my area as my kids were with my ex husband and I really needed a little break, I called my best friend Melissa and she offered for my dog and I go come on down and gave me her daughters room for 2 nights. 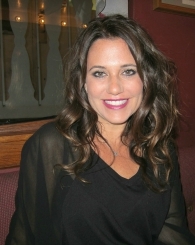 I really had no expectations but to relax in Brea and really didn’t want to be a burden. It took me 2 hours to get there and I was worried that I was holding them up, instead both Melissa and Mark greeted me with hugs and we went out to eat. We went to a place called Cha Cha’s Latin Kitchen it was lovely, Melissa ordered for the table to share the salad, some flautas with a mango sauce and an amazing salmon with a honey chipotle glaze…that glaze was out of this world (don’t think I’m not going to try to duplicate that one)! I also had a Sangria and if you have been to my house before, you know I love sangria…this one was very tasty and much needed. 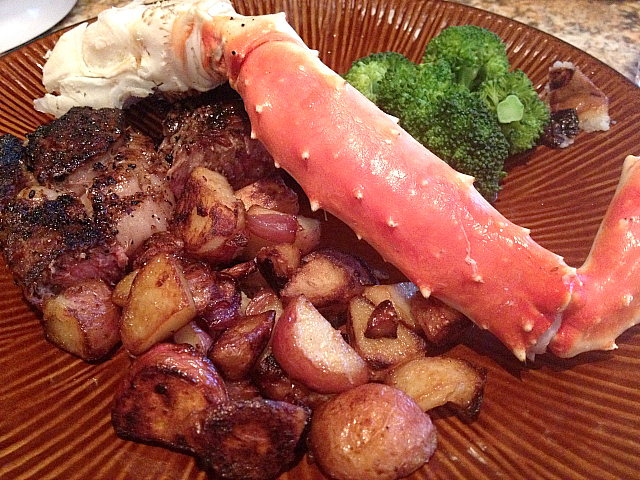 For Saturday night, Mark asked me what he can make for dinner, I told him to do whatever he wanted…again, I was spoiled as he did rib-eyed steaks on the BBQ, and Mark is amazing on the BBQ, he did crab legs, broccoli and his amazing potatoes with onions. 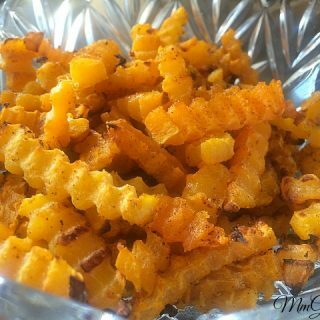 The story goes something like this, Marks mom loved to fry food but never fried red potatoes, Mark was camping with his friend Matt (hi Matt) and Matt introduced Mark to this recipe, this recipe is so simple and really you can modify it to your likings by adding bell peppers or any of your favorite vegetables. he cooked it uncovered and tossed them periodically, here they are about 8-10 minutes later, you can see how the potatoes are getting nice and brown and the red onion is getting caramelized. I can’t thank you enough Melissa and Mark for all that you had done this past weekend, it was so soothing for my soul…I can’t wait for Vegas! 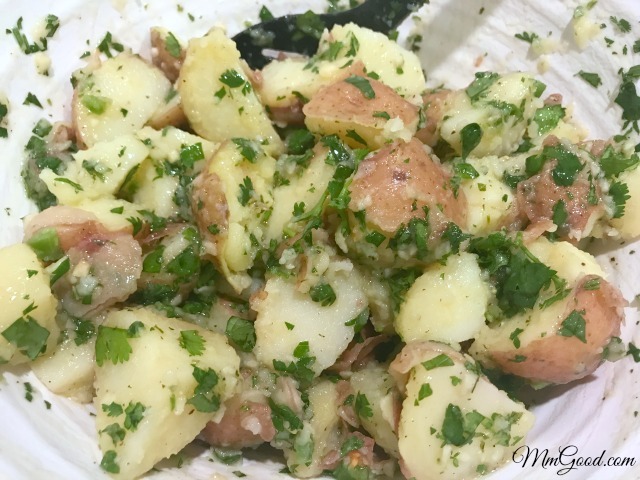 Thank you Mark for allowing me to watch you cook (he really wouldn’t let me lift a finger) and for allowing me to share your famous potato recipe with my followers. 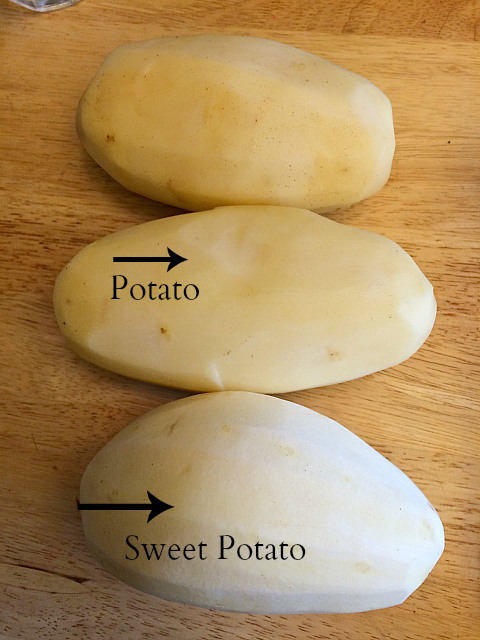 Cut your potatoes and onions into same type pieces. 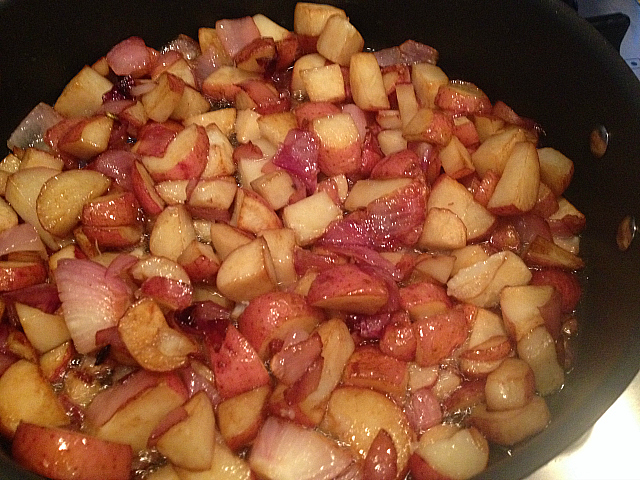 Put your oil in a frying pan and let it get really hot, add your potatoes and onions, add 1 teaspoon Worcestershire sauce and your seasoning salt. 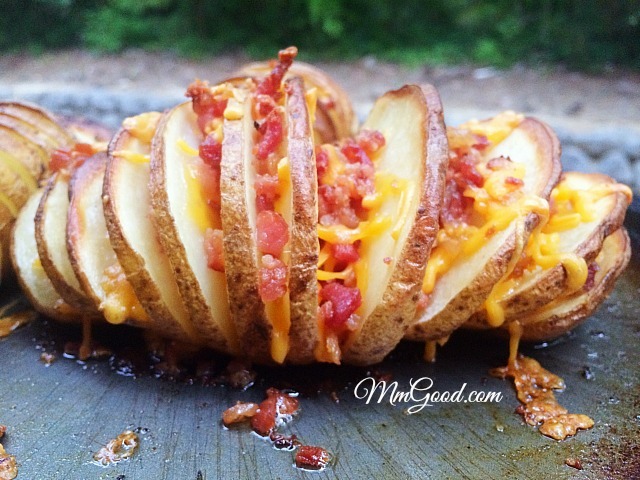 Let your potatoes cook through and turn periodically. 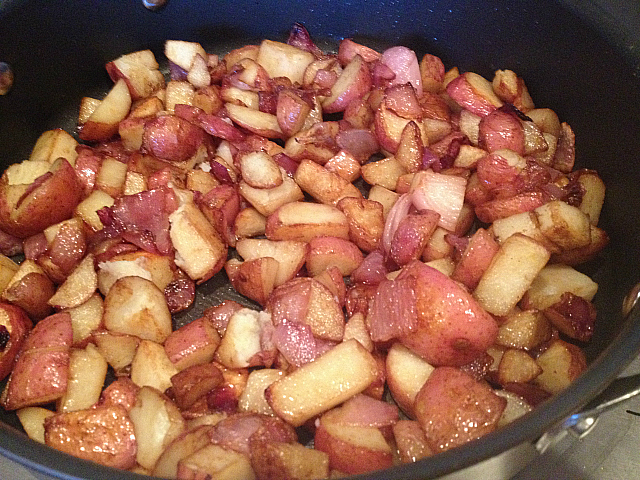 Keep cooking until the potatoes become soft and browned. 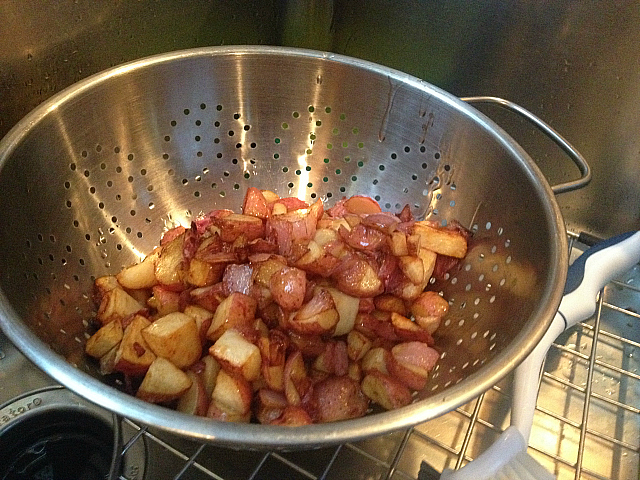 Drain your potatoes to remove the excess oil, do this in a colander and put back in the frying pan. 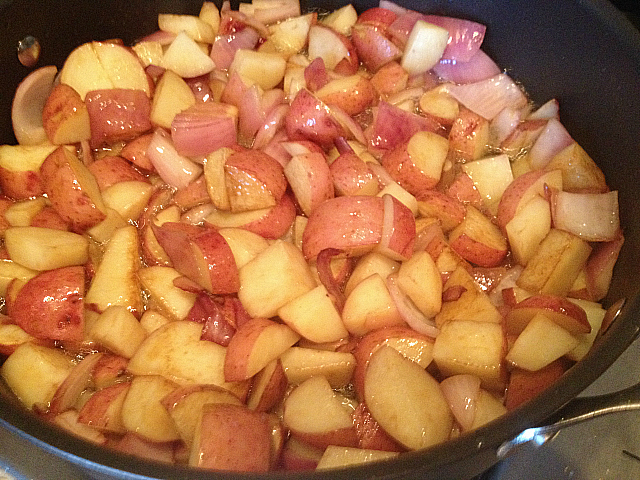 Add more Worcestershire sauce and adjust your seasonings with seasoning salt.